Pingback: WPC: Seasons (Winter Sunrise) | Chris Breebaart Photography / What's (in) the picture? 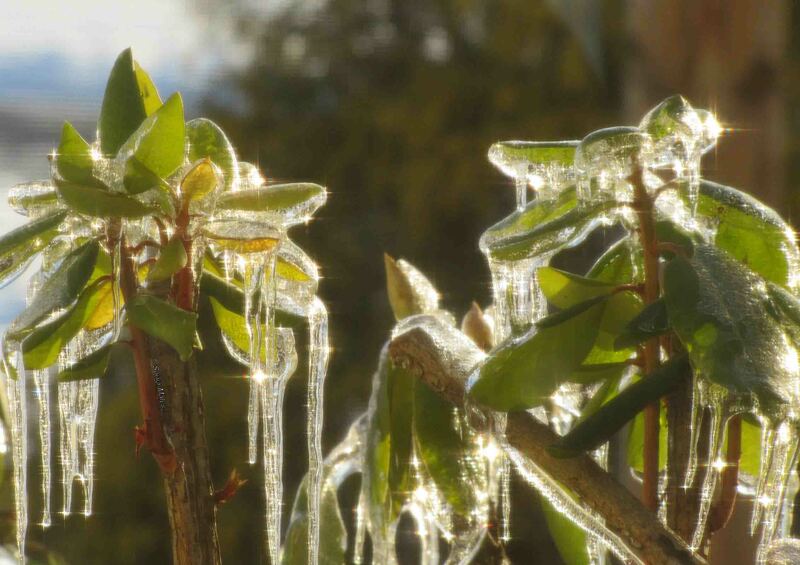 It is beautiful when the ice is hanging like this with the sunlight shining through. It looks beautiful, but I wonder if the plants did survive the ice? Lovely catch. You certainly have to take these shots rights away as even in winter, the sun can melt ice and snow rather rapidly.